It’s called the Wrapsody. Based on Curvy Kate’s Luxe strapless, it comes in sizes 28-40 D-J in a bandeau bikini top and one-piece. Below are just a few of the ways you can wear it. 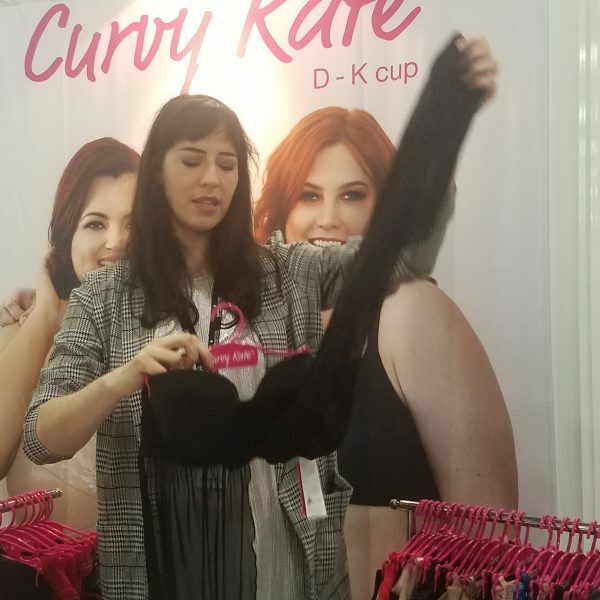 Oliva Wilson, Curvy Kate’s head designer, shows how two lightweight (quick-drying) mesh panels hang from the underbust. In this video, Star in a Bra winner Taylor Rhoden comes up with her own ways to wear it on the fly. Front views . . .
and back views . . . .
Curvy Kate has some other great designs coming out for SS19, but this is the one I’m most excited about. Look for a #howwillyouwrapyours competition when it launches in March– you’ll be seeing even more ideas for wearing it then!